Ryan Fisher will be presenting at two events before the month is over. 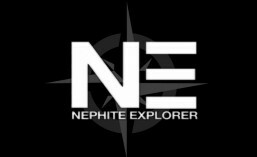 Come join the Independent American Party as they host Ryan Fisher from the television program Nephite Explorer. Ryan Fisher is a journalist who unapologetically dives into the religious foundations of the founding fathers taking a fresh look at the providential hand involved in founding and sustaining America. Drawing from the Bible, Book of Mormon and his own investigative journalism Ryan will be presenting new research linking old testament prophecies to our situation today while uncovering warnings for the future that show the path we must take to preserve our liberty and become the kind of people worthy of this promised land.